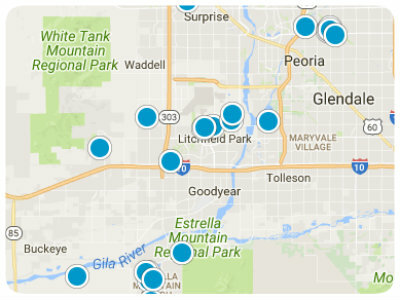 Arrowhead Lakes is a master planned community in Glendale, Arizona. This beautiful lake community has 130 acres of lakes, with more than half of the homes on the lakefront. The area was developed in the 1990s with several builders involved. It lies northeast of 59th Avenue and the 101 Freeway. The community boundaries include Melinda Lane to the north and Beardsley Road to the south and 51st Avenue to the east. Arrowhead Lakes residents and visitors alike enjoy the many available water opportunities. Four lakes, Great Falls, Sunset, Shadow, and Emerald all offer boating and fishing. Catch and release fishing is allowed from boats as well as from individual homeowner properties. For great hiking, residents find nearby Thunderbird Conservation Park has many trails and beautiful views of the surrounding land and lakes. Arrowhead Lakes is full of many opportunities to enjoy the stunning views of mountain ranges and lakefronts by utilizing the many walking and biking trails. If golf is your outdoor preference, you can enjoy a game at either Arrowhead Country Club of The Legend of Arrowhead. 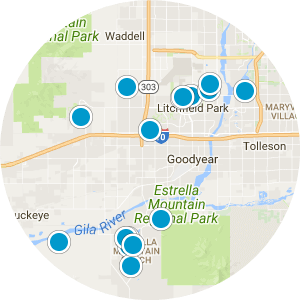 For shopping, the Arrowhead Towne Center provides a variety of options, and as part of Glendale, Arrowhead Lakes residents have access to the great opportunities of downtown Glendale, Arrowhead Fountain Shopping Center, and Westgate City Center. Sports enthusiasts enjoy a short drive from Arrowhead Lakes to Westgate which offers access to The University of Phoenix Stadium, which is home of the Arizona Cardinals football team. The Phoenix Coyotes hockey arena is also in Westgate. You’ll find Arrowhead Lakes real estate offers a community of mostly single-family adobe style homes. Many have been updated and offer two to seven bedrooms and 1301 to 7000 square feet of living space. There is a variety of not only size but cost to fit your budget. There are about 34,000 students in Arrowhead Lakes that are served by the Deer Valley Unified School District, which is an “A” rated school system. 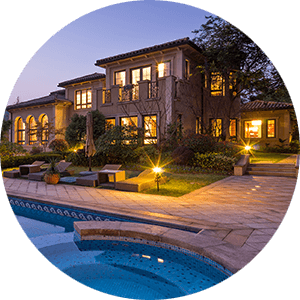 When you consider the variety of homes, the great lakefront options, the beautiful surrounding landscape, and the many amenities in the community as well as in Glendale proper, then this is a must consider destination for homebuyers searching in the Phoenix area. 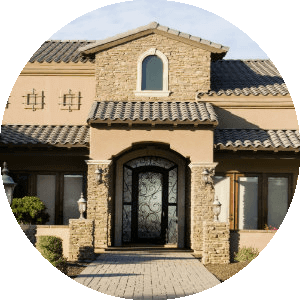 If you would like more information regarding homes for sale in Arrowhead Lakes, Glendale, Arizona, please contact us today and allow us to assist you.